Hysolv UK is a new Veterinary Animal Health Company which was launched in 2008 and is independently owned by its 3 shareholders and directors. We are a British Company with our administrative headquarters based in the heart of rural West Wales. All the directors and shareholders have extensive and wide ranging experience, having worked throughout the Pharmaceutical, Veterinary and Farming industry and between them have over 70 plus years of experience in the Veterinary, Farming and Animal Health Sectors. 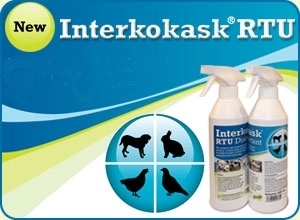 The company was founded to offer the UK veterinary, agricultural, Equine and Food processing and preparation industries as well as UK pet owners a new and innovative product range in partnership with our manufacturers, Interhygiene who is based in Germany. Many Hysolv UK bio-security and hygiene products are also ideal for use in many other sectors such as Medical & Dental or Opticians practices and hospitals and for use by all Medical Professionals visiting patients at home. Hysolv UK products have been extensively researched and tested and while being used throughout Europe have not been available in the UK until now. 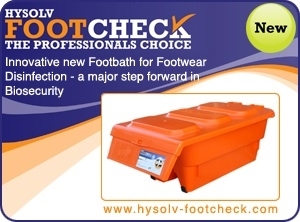 Hysolv UK recognises the highly important role that good bio-security and hygiene can have in helping to keep animal environments clean and free of disease and therefore in helping to prevent re-infection and disease in animals and humans alike. Hysolv UK is dedicated to supplying all the agricultural sectors in co-operation with our partners in the Veterinary Profession. The Hysolv UK product range presently includes high quality Hand Cleaners & Sanitisers which are not only highly effective and fast acting but also kind to hands and offer superior performance to many other products currently used in the veterinary and medical industries. Hysolv UK also offers a complete range of highly effective cleaners and/or disinfectant products many of which offer unique benefits to the users and often with superior efficacy and spectrum of activity.